Penthe pimelia (Velvety Bark Beetle). Size: approx. 10 mm. Photo: 09/18/14, 9 pm. 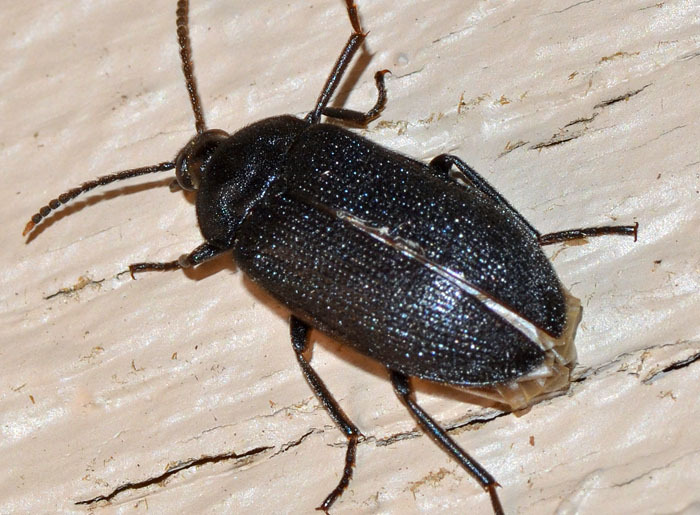 Penthe pimelia is also called False Darkling Beetle. It lives in forests under bark or in dried fungi and can be found in most parts of the Eastern half of North America.